Would you like a one-of-a-kind evening on the waterways of Amsterdam, coupled with culinary delights? If so, the Running Dinner in Amsterdam package will be perfectly satisfying. 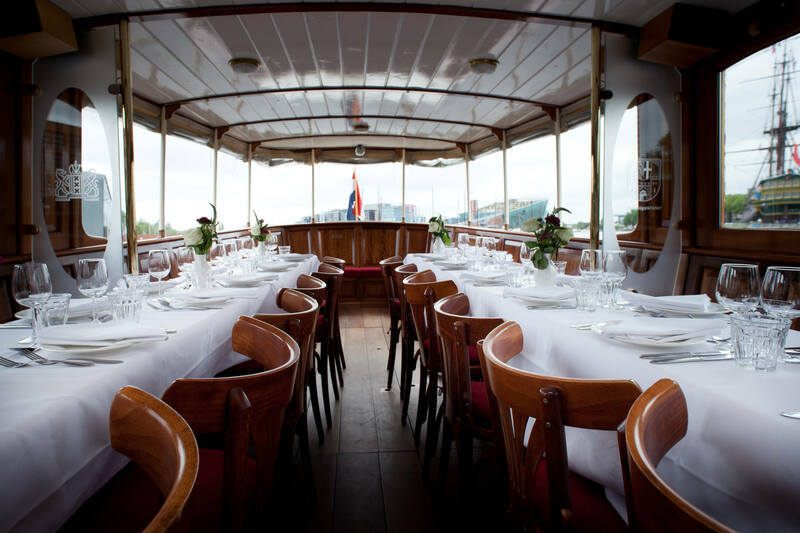 The Running Dinner in Amsterdam combines a cruise on a private luxury saloon boat with some of the best food in all of Amsterdam. It is a package to truly spoil you and your guests. 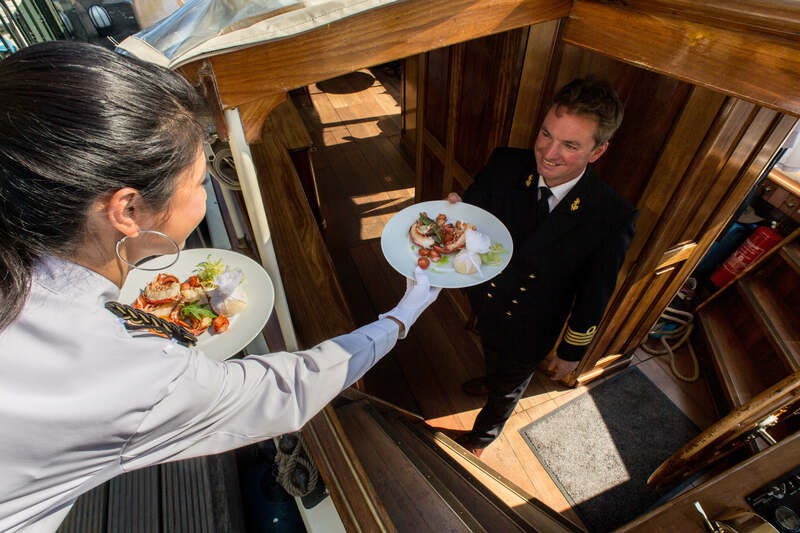 From boarding to the final disembarkation, the Running Dinner lasts approximately five hours. 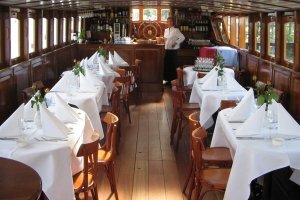 In between drinks and sailing amongst the beauty of Amsterdam, you will make two trips ashore: one to a restaurant at which you will enjoy an excellent appetiser and then another where you will be spoilt with a delectable main course. Do you wish to add a third for dessert? If you think you will have room to eat more, we can make it happen. Otherwise, you can take your coffee and cake on board. While the standard duration of the Running Dinner package is five hours, this can be customised to fit your needs. 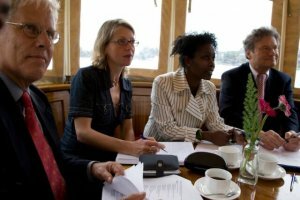 The package is available for groups of six people or more. Restaurant Breitner, located along the Amstel River at the Blauwbrug. Bridges Restaurant, the Michelin star restaurant of the Grand Hotel, located in the former Town Hall of Amsterdam. 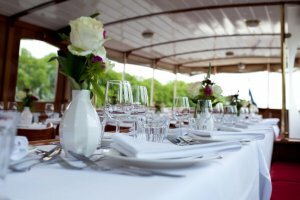 You and your guests are welcomed onto your private boat with a drink. Then, we cast off and set sail towards the first restaurant. Arrival at Restaurant Breitner for the appetiser. You come back on board to sail to the next restaurant. En route, you enjoy the views of Amsterdam and an onboard drink. Arrival at the legendary Grand Hotel where you enjoy the main course prepared by the expert chefs of Bridges Restaurant. You will embark again and sail to the final location. 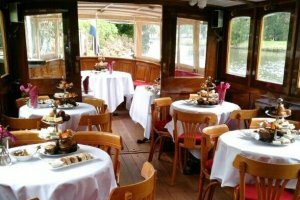 We dock quickly to pick up a delectable dessert, which is consumed as you sail through the Amsterdam canals. The Running Dinner comes to an end as you return to your place of departure. 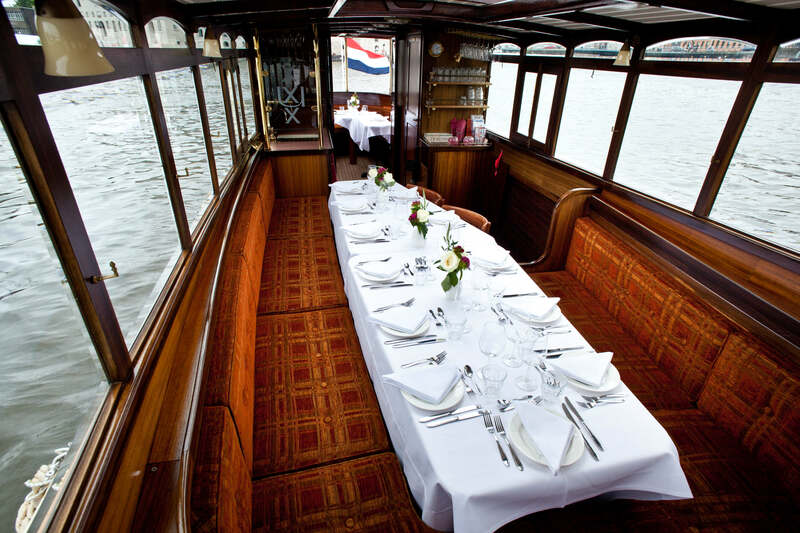 The Running Dinner in Amsterdam is available for groups of six people or more. Rederij Belle has capacity for groups of any size and our saloon boats can be rented simultaneously for groups larger than 80 people.